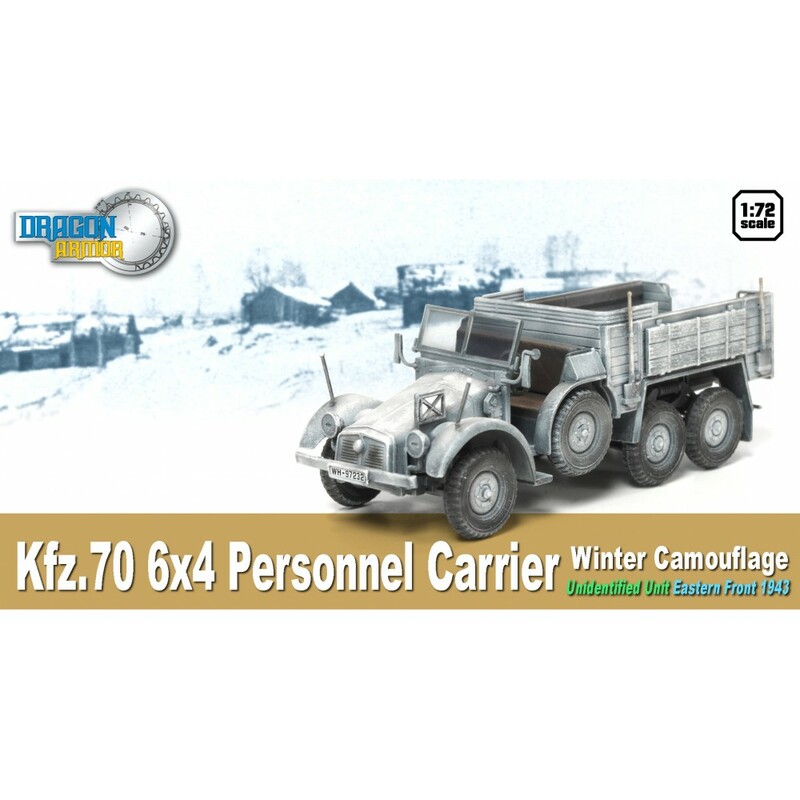 The Kfz.70 6x4 truck served throughout the Second World War and a total of about 7,000 were produced up until about 1942. The horizontal 3.3 litre engine gave rise to the trucks distinctive sharpley sloped nose, and also to it's nickname ''Boxer''. 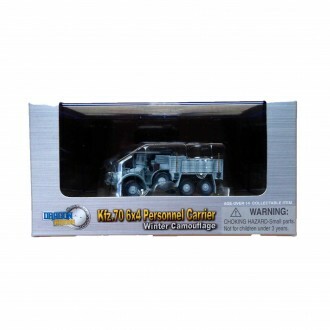 The truck was used for all kinds of purposes, and was commonly employed for towing light artillery pieces such as the 3.7cm Pak Antitank Cannon. 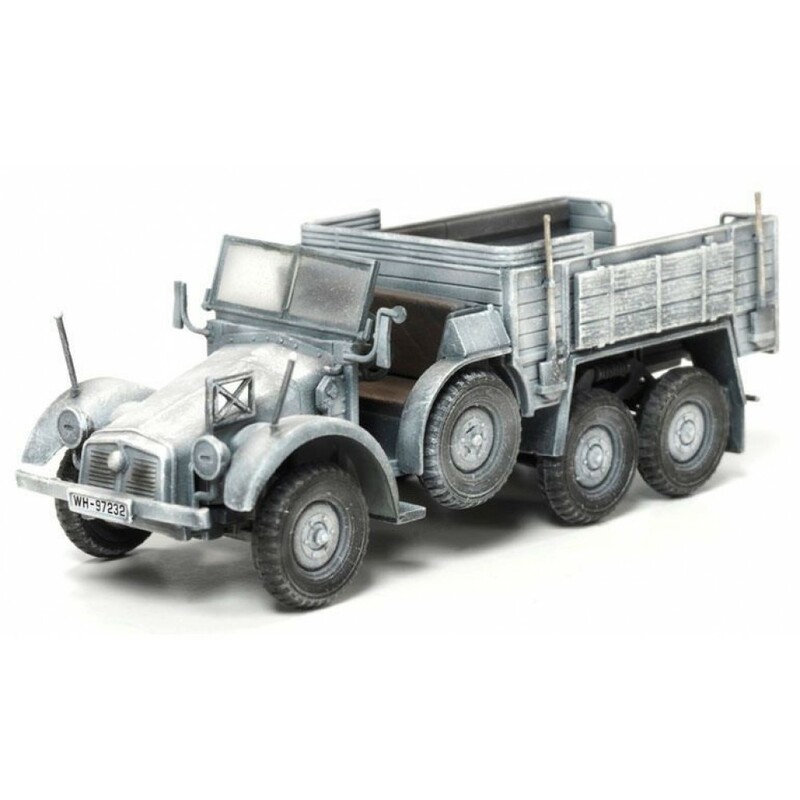 This Dragon Model shows the truck in it's Kfz.70 Personnel configuration. The fully built 1/72 scale miniature is finished in a whitewash camouflage scheme so commonly encountered during winter on the Eastern Front. 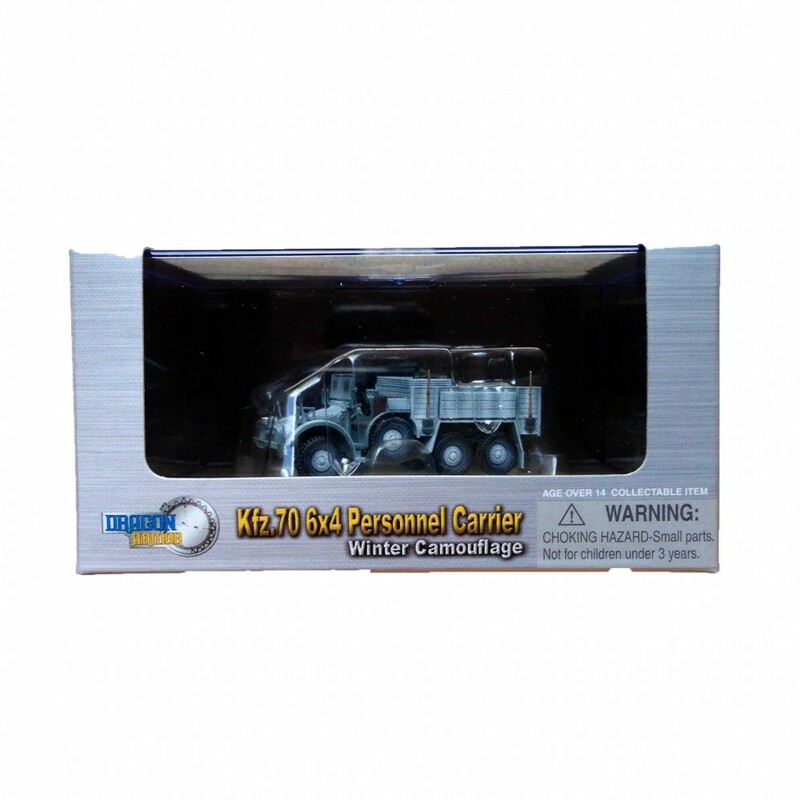 This scheme has been carefully brushed onto the truck, giving it a realistic worn look.